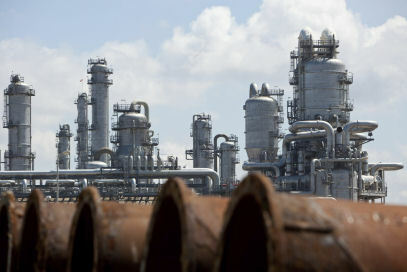 Because Hastelloy fasteners are resistant to some of the most severe chemicals, this very material often finds use in oil & gas sour gas service, chemical processing, power industries flue gas desulfurization systems, off-shore oil and down hole environments, pulp & paper bleaching and digesters, as well as other industrial facets where corrosion is an issue. Other sizes, Hastelloy grades and screw styles can be made to order with minimum quantities, typically around 10pcs. The normal lead time for standard Hastelloy is few days. For custom Hastelloy fasteners, it can vary but is usually not more than 4 weeks. So be sure to contact us for specific lead times and any expediting needs. Lead Time is important? You have down equipment? No problem. Just let us know what you need and we will do our very best to accommodate. Confused about which grade of Hastelloy bolts are best for your corrosive application? Read this short blog post which gives an overview of each grade's strength. If you need more in-depth direction or contact our engineering team for expert guidance. Hastelloy C276 alloy, UNS N10276, is the most widely used and versatile corrosion resistant nickel alloy. Hastelloy fasteners offer very good resistance to strong reducing and moderately oxidizing corrosive acids, as well excellent stress corrosion cracking resistance and resistance to localized attack. Outstanding corrosion resistance to various concentrated, hot acids and reducing environments, C276 fasteners are readily used in hot sulfuric and hydrochloric acid applications. In addition, Hastelloy C276 is one of the few grades resistant to wet chloride gas and chlorine dioxide. The Hastelloy C276 grade also offers excellent mechanical properties at elevated temperatures up to 1500°F / 815°C, making it ideal for hot corrosive environments. Because of these properties, Hastelloy C276 fasteners have resistance to a wide range of acids, chlorides, and strong halides which is why they are often utilized in the chemical processing and the oil & gas industries. The only factor that is critical to point out when dealing with very strong oxidizing environments like nitric acid is that Hastelloy C276 fasteners can be attacked as it has a low chromium content compared to other grades like Hastelloy C22. Hastelloy B3 alloy, UNS N10665, offers excellent resistance to hydrochloric acid in all temperatures and concentrations, yet has poor corrosion resistance to oxidizing chemicals and in the presence of ferric or cupric salts. In addition, Hastelloy B2 has excellent resistance to pitting, stress corrosion cracking, and to knife-line and heat-affected zone attack. However B2 has little chromium, and it should NOT be used with oxidizing media in the presence of salts. Like other Hastelloy alloys, B2 fasteners can be used in the as-welded condition because they resist the formation of grain-boundary carbide precipitates in the weld heat-affected zone. It is recommended that B2 fasteners not be utilized between 1000° F and 1600° F because of a reduction in the ductility. Hastelloy B3 alloy, UNS N10675, is specifically designed to deal with very aggressive hydrochloric acid (HCl), hyrdrobromic acid (HBr) and sulfuric acids (H2SO4) as well as acetic, formic and phosphoric acids. Hastelloy B3 fasteners deliver the same excellent resistance to hydrochloric acid and other strongly reducing chemicals as other B-alloys (including B2) but with significantly enhanced thermal stability and improved ease of fabrication. However B3 has little chromium, and it should NOT be used with oxidizing media and is not recommended for use in the presence of ferric or cupric salts which can cause rapid corrosion failure. Hastelloy C22 alloy, UNS N06022, has better overall corrosion resistance in oxidizing corrosives than C-276 and Inconel 625 alloys due to the higher chromium content. More specifically, C22 fasteners provides better protection when used in certain saturated wet chlorine environments. In addition, its high chromium content provides C22 fasteners much better resistance to oxidizing media that C276. This provides it exceptional resistance to chloride-induced pitting although, in most cases because of its availability, C-276 fasteners are a more cost-effective option. Hastelloy C22 fasteners also offer outstanding resistance to pitting and crevice corrosion, as well as stress corrosion cracking. Use of C22 fasteners should be limited to temperatures below 1250° F. This alloy has limited availability and can be made into fastener in larger diameters only (1/2" and greater in size). Hastelloy C2000 alloy, UNS N06200, is a corrosion resistant alloy with excellent resistance to uniform corrosion in oxidizing or reducing environments. Hastelloy C2000 fasteners combine the outstanding resistance to oxidizing media of C276 with superior resistance to non-oxidizing environments, making it a unique alloy for protecting chemical process equipment that has a range of conditions. C2000 fasteners are designed to offer greater versatility compared to the other Hastelloy alloys. The addition of copper provides C2000 fasteners enhanced temperature capability in sulfuric acid, hydrofluoric acid, and dilute hydrochloric acid. Due to its high chromium content protects process streams contaminated with ferric ions. In addition, C2000 fasteners have excellent resistance to stress corrosion cracking and superior resistance to localized corrosion as compared to C-276 alloy. This alloy has limited availability and can be made into sizes only 1/2" and greater is size for fasteners and flanges. Alloy X, UNS N06002, is most known for its exceptional combination of high temperature oxidation resistance up to 2000°C and high temperature strength. Being stable, strong and ductile at high temperatures are its most notable characteristics which is often utilized in gas turbine components and furnace components. 12 Point Screws Hastelloy 12 point screws allow for higher torque to be applied than a socket head cap screw or head head bolt, however they are be less economical due to the complex head design. Available in 1/4" or larger sizes. 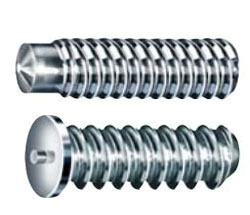 Button Head Cap Screws Hastelloy button head screws offer a wide clamping area and low profile. They are best for fastening material that is too thin to counter bore. Flat Head Screws Hastelloy flat head screws are most commonly offered in an 82° countersink angle, but can be customized to other angles from 60° -120° and are designed to be flush with the surface. Available in slotted and socket drivers. Phillips, 6-lobe, torx and tamperproof drivers in Hastelloy flat head screws can be made require special manufacturing. Hex Head Cap Screws Hastelloy hex head cap screws offer the added washer face to the bolt head which is lacking on a hex bolt and tighter dimensional tolerances. Ideal for a high clamping force applications with ease of access. Generally availabe in #2 - 1/2" sizes and metric sizes. Pan Head Screws Hastelloy pan head screws offer a rounded top are best used for small diameter faster needs. Offered in slotted and they are ideal for low torque applications. Security Screws Unique driver designs offer these Hastelloy screws resistance to unwanted tampering or removal due to the fact that they cannot be removed using an ordinary driver. Hastelloy security screws are available in several different drive styles, as well as custom per print. Set Screws Hastelloy set screws are available in cup, cone, flat, dog and half-dog points. Set screws have no head and are equiped with a socket or slotted driver at one end. Socket Head Cap Screws Hastelloy socket head cap screws are ideal for limited access situations where there is little clearance around the screws. They offer a safe, reliable and economic solution. 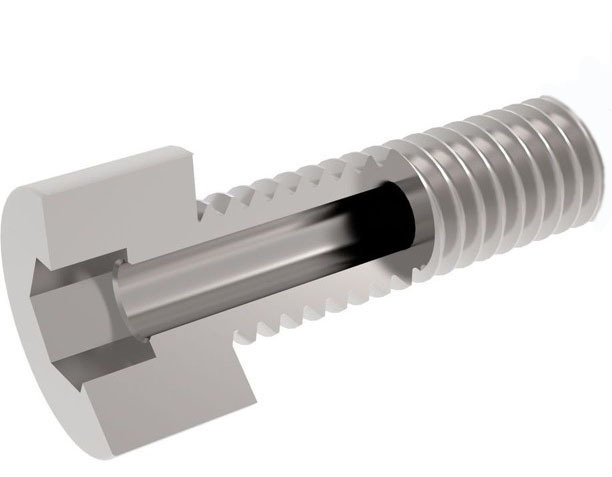 Vented Screws Hastelloy vented screws are best for vacuum environments because the hole drilled through its axis (from head through threads) allow gases and other contaminents to vent. Hastelloy vented screws are available in any style. Hex Head Bolts Hastelloy hex bolts are similar to hex head cap screws but without the added washer face. They are ideal for high clamping force applications with ease access. Shoulder Bolts Hastelloy shoulder bolts are made up of a head, shoulder and threaded segment. The smooth shoulder section allows for rotating parts. Typically available with socket drivers. Hex Nuts Hastelloy hex nuts are available in a variety of styles including finished hex nuts, jam nuts and heavy hex nuts. Lock Nuts Hastelloy lock nuts are available in all metal and polymer insert styles. All-metal lock provide even load distribution and can be used at high temperatures. Polymer insert styles are more economical and are best for temperatures under than 350°F. Studs Hastelloy studs are fully threaded or partially threaded and made to custom lengths. Threaded Rod Hastelloy threaded rod or all thread are available in lengths greater than 1 foot. Minimum order quantity is a total of 6 feet of length. Weld Studs Hastelloy weld studs are available in both arc or capacitor discharge (CD) styles. Weld studs provide an extremely secure fastening solution when one side of the stud needs to be permanently fix to a part and the other side with the threads accessible. Hastelloy washers are most commonly offered in SAE sizes, but also availabe in USS, oversized and custom sizes upon request. Hastelloy lock washers are offered as split lock washers. Belleville spring lock washers can also be made upon request. 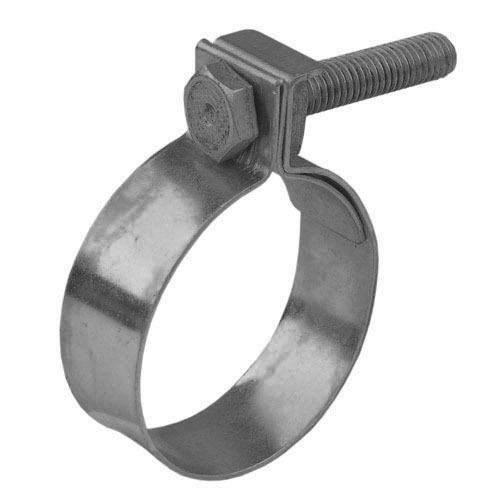 Hastelloy hose clamps feature a nut-and-bolt hose clamp with rolled band edges for the most secure, higher torque hold that is usable in both high and low pressure conditions. Hastelloy blind flanges are used to seal a flanged connection. 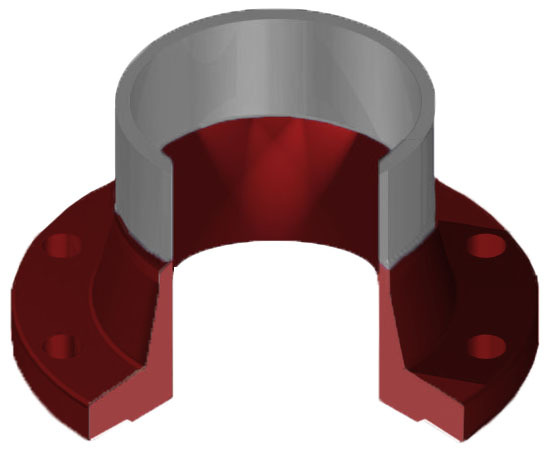 Hastelloy lap joint flanges fit over stub end, allowing the flanges to swivel freely which makes it easy to align bolt holes. They are ideal for processes that require frequent changes. 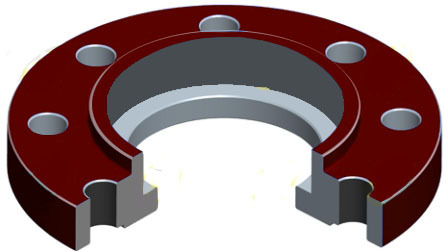 Both the flange and stub ends are offered. 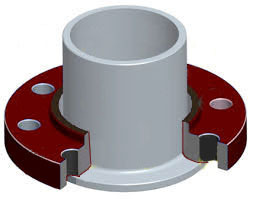 Slip On Flanges Hastelloy slip on flanges are similar to socket weld flanges but without the socket shoulder, which makes it possible for the pipe to slide completely through the flange hub. 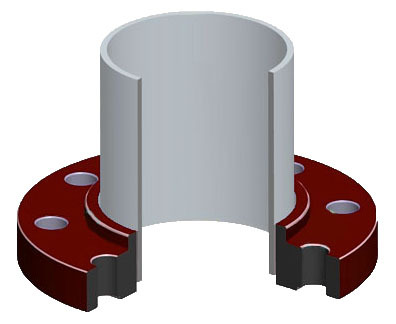 Hastelloy socket weld flanges feature an added shoulder inside the bore hole which the pipe rests against. They are ideal for small size, high pressure applications. Hastelloy threaded flanges have a tapered thread to tightly seal to the threads of a pipe. These are best for situations when welding is not possible due to hazardous or flammable conditions and for smaller pipe connections. Weld Neck Flanges Hastelloy weld neck flanges are unique in that they have a long tapered neck with the bore to match the inside diameter of the pipe. This joint preventst turbulance and is best for high pressure, hazzardous applications.